It’s time for our first peek at Reed and Ben’s alma mater, State U. Not to be confused with Empire State U. Although confusion seems inevitable. Good going, Mr. Lee! 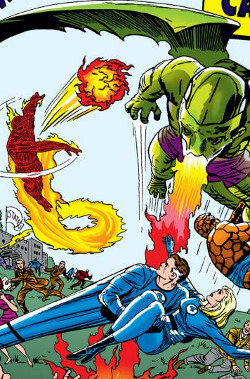 Anyways, there are Shenanigans with Diablo, a b-grade Fantastic Four villain making his second appearance, and cameos by Professor Xavier and Peter Parker. And of course, the FF have to throw down with the Dragon Man. Daredevil Teams Up With … Fearless Foggy Nelson! 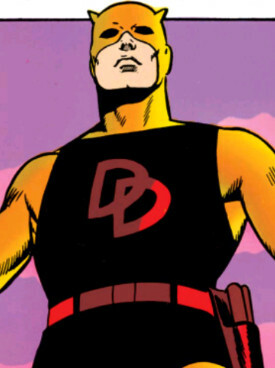 Wally Wood’s brilliant, brief run on Daredevil is well under way. In this issue, Daredevil and the whole Nelson & Murdock crew get together to fight Mr. Fear and a brace of c-list villains on loan from other Marvel titles. The Man Without Fear vs. Mr. Fear … wow, I just realized how low-effort the elevator pitch for this issue sounds. Today an Avenger DIES! But not really, cause, c’mon, it’s Silver Age Marvel. This is the introducti on of the Maggia, which is awfully similar to TOTALLY UNLIKE the Mafia. Their leader is Count Nefaria, and he has a devious plan to undo the Avengers by using “electro images” to impersonate them.